To introduce myself, I am a semi-retired college professor (B.Sc., physics, M.I.T; Ph.D., physics, Brown University; M.A., mathematics, Boston University) with 12+ years tutoring experience (September 2002 - December 2014) tutoring math and physics at Holyoke Community College (Holyoke MA), as well as tutoring (math/physics) with Wyzant (September 2012 - present). The courses that I tutor range from Pre-Algebra (Basic Math), Beginning Algebra, and Intermediate Algebra to College Algebra, Pre-calculus (including Trigonometry) and Calculus (I, II and III), as well as Elementary Probability and Statistics, and General Physics. Tutoring math and physics one-on-one is definitely the best job I've ever had. Not only do I enjoy the subject matter itself, but equally, or even more so, the process of asking the student leading questions (as opposed to simply giving the student the answer) so as to help the student discover for himself/herself, as much as possible, the thought processes involved in understanding, and then solving, the particular problem at hand. At this stage of my life, helping students is what gives meaning to my life -- in particular, helping to empower students to become independent learners, as much as possible -- this is my passion --- this is what I find most satisfying. My supervisor (at Holyoke Community College, name/email/phone number available on request) would be more than happy to give me a glowing testimonial regarding my talents as a professional tutor, as would all the many students that I've tutored over the past 12+ years. I know this because of the feedback that I've gotten from both my supervisor and from the many students that I have tutored over the past 12+ years. I also tutored high school students (at a local high school) in mathematics (mainly Algebra and Geometry) in after-school programs (first UPWARD BOUND, and then GEAR-UP) for 5 years beginning September 2004, until the program (GEAR-UP) was de-funded. My supervisors (names, emails and phone numbers available on request) there would similarly be more than happy to be references for my work at Holyoke High School (Holyoke, MA). In addition to my tutoring at the community college and high school, I have also tutored students, both college students and high school students, privately (again, since September 2002), and again in such subjects as Algebra, Geometry, Trigonometry, Calculus and Physics. I do pride myself, perhaps most particularly, on being patient with the students, and also in explaining the subject matter in great, though not overwhelming, detail. In particular, I would never simply ask the student whether he/she is getting the material. Rather, I would make sure that the student can actually work the problem at hand, with hints if necessary to start with, but then, eventually, with the student completely working the problem on his/her own. One final thought. When I first started tutoring at Holyoke Community College some 13+ years ago, I was really not familiar at all with the graphing calculator. However, gradually, yet fairly quickly, I began to familiarize myself with the various features of the graphing calculator, in particular the TI-83 and TI-84 (also, the TI-85 and TI-89), so that now, routinely, on an almost daily basis, I use the graphing calculator in my tutoring of such courses as College Algebra, Pre-Calculus (including Trigonometry), Calculus, and Probability and Statistics, both for routine calculations and graphing (involving polynomial functions, rational functions, exponential functions, logarithmic functions, trigonometric functions, inverse trigonometric functions), confirmation of problem solving that could be done without the graphing calculator, and investigation and exploration of problems which could be approached only with the aid of the graphing calculator. I am a semi-retired college professor (B.Sc., physics, M.I.T. ; Ph.D., physics, Brown University; M.A., mathematics, Boston University), most recently (12+ years, September 2002 - December 2014) having worked as a Professional Tutor (math, physics) at Holyoke Community College (Holyoke MA), and therefore definitely have the experience and expertise to help you with GRE prep. As for my background, I am a semi-retired college professor (physics/math) with a B.Sc. in physics (M.I.T. ), a Ph.D. in physics (Brown University), and a Master's degree (M.A.) in mathematics (Brown University). As for statistics, I took a two-semester sequence of courses in Probability & Statistics at Boston University, plus a semester of Computer and Applied Statistics, and have taught (and tutored) Elementary Probability & Statistics at the college level on a number of occasions (3 years teaching, 13 years tutoring). As may be seen from my tutor profile, I am a semi-retired college professor (math, physics), currently (and for the past 11+ years, since September 2002) working part-time (about 20 hours per week) as a professional tutor (math/physics) at Holyoke Community College (Holyoke, MA). So, I have much expertise and much experience, and therefore (I believe), much to offer your son/daughter, or you in elementary math. I am very patient, very good at explaining the material, and most particularly, perhaps, very good at asking "leading questions" of the student, so as to guide the student in becoming increasingly more of an independent learner. I am a semi-retired college professor (math, physics), am currently (and for the past 12+ years) working part-time (about 20 hours per week) as a Professional Tutor (math/physics) at a college, and so have much experience and much expertise (and therefore, much to offer your son/daughter, or you) in Algebra 1. In particular, I am very patient, and know how to explain the material (in part, by asking leading questions of the student, so as to stimulate the student to become increasingly more of an independent learner). I am a semi-retired college professor (B.Sc., physics, M.I.T. ; Ph.D., physics, Brown University; M.A., mathematics, Boston University), most recently (September 2002 - December 2014, 12+ years) having worked (about 20 hours per week) as a Professional Tutor (math, physics) at Holyoke Community College (Holyoke MA), and therefore definitely have the experience and expertise to help your son/daughter/yourself with Algebra 2. As may be seen from my Tutor Profile, I am a semi-retired college professor (B.Sc., physics, M.I.T. ; Ph.D., physics, Brown University; M.A., mathematics, Boston University), most recently (12+ years, September 2002 - December 2014) having worked as a Professional Tutor (math, physics) at Holyoke Community College (Holyoke MA), and therefore definitely have the experience and expertise to help your son/daughter with calculus (Calculus 1, Calculus 2). As indicated in my Tutor Profile, I am a semi-retired college professor (math/physics) with a B.Sc. in physics (M.I.T. ), a Ph.D. in physics (Brown University), and a Master's degree (M.A.) in mathematics (Boston University). In the process of studying/teaching/tutoring both physics and mathematics, I have come across quite a bit of Plane Geometry, and Solid Geometry, as well, and so I feel totally comfortable in tutoring High School Plane Geometry. As may be seen from my Tutor Profile, I have a B.Sc. in physics from M.I.T. ; a Ph.D. in physics from Brown University; and a Master's Degree (M.A.) in mathematics from Boston University, as well as a life-time of teaching/tutoring both math and physics. As may be seen from my Tutor Profile, I am a semi-retired college professor (math/physics)and am currently (and for the past 11+ years, since September 2002) working part-time (about 20 hours per week) as a Professional Tutor (math/physics) at Holyoke Community College (Holyoke MA), and so have much experience and expertise, and therefore (I think), much to offer your daughter/son, or you in Pre-Algebra. Also, I am very patient, know how to explain the material to students of all ages, and most importantly, perhaps, know how to ask leading questions of the student so as to help that student become increasingly an independent learner. I am a semi-retired college professor, most recently (12+ years, September 2002 - December 2014) having worked as a Professional Tutor (math, physics, about 20 hours per week) at Holyoke Community College (Holyoke MA), and therefore have the experience and expertise to help you (or your son/daughter) with Pre-calculus. I am a semi-retired college professor (math,physics), have worked as a Professional Tutor (math/physics) since September 2002, and so have much experience and much expertise in SAT math. I am a semi-retired college professor (B.Sc., physics, M.I.T. ; Ph.D., physics, Brown University; M.A., mathematics, Boston University), most recently (12+ years, September 2002 - December 2014) having worked as a Professional Tutor (math, physics) at Holyoke Community College (Holyoke MA), and therefore definitely have the experience and expertise to help your son/daughter with ACT math. I taught an Introduction to Discrete Mathematics course at Elms College (Chicopee MA) in 1994. Also I came across many of the topics encountered in Discrete Mathematics in the various Computer Science courses that I taught at Rhode Island College (Providence RI, 1981 - 1984) and at Elms College (Chicopee MA, 1990 - 1994). I also came across many of the topics encountered in Discrete Mathematics in a math course (Topics in Mathematics) that I tutored at Holyoke Community College (Holyoke MA, 2002 - 2014) . I am a semi-retired college professor (B.Sc., physics, M.I.T. ; Ph.D., physics, Brown University; M.A., mathematics, Boston University), most recently (12+ years, September 2002 - December 2014) having worked as a Professional Tutor (math, physics) at Holyoke Community College (Holyoke MA), and therefore definitely have the experience and expertise to help your son/daughter with Trigonometry. As may be seen from my Tutor Profile, I am a semi-retired college professor (math/physics), currently (and for the past 11+ years, since September 2002) working part-time (about 20 hours per week) as a Professional Tutor (math/physics) at Holyoke Community College (Holyoke, MA), and so I have much expertise and much experience, and therefore much to offer, I believe, in helping you get your GED. In particular, I am very patient, know well how to explain the material, and most particularly, perhaps, know how to ask leading questions of the student so that he/she is thereby guided to become increasingly more of an independent learner. I am a semi-retired college professor (B.Sc., physics, M.I.T. ; Ph.D., physics, Brown University; M.A., mathematics, Boston University), most recently (12+ years, September 2002 - December 2014) having worked as a Professional Tutor (math, physics) at Holyoke Community College (Holyoke MA), and therefore definitely have the experience and expertise to help your son/daughter with SSAT prep. Herb was patient and very knowledgeable. He helped to break down complex mathematical concepts into more comprehensive steps. Highly recommend this tutor. Herb is a remarkable man. It would be one thing to say that he is knowledgeable about his topic, and this is undoubtedly true, but it's another to try and explain the sincerity and caring he puts in to truly trying to make sure his student is learning. It is clear Herb puts a great deal of importance on his student's growth. His math skills are excellent. He explained in detail how to integrate and take the derivative of complex trig functions as well as the concepts associated with cylindrical and spherical coordinates in a manner easy to grasp and retain. He was a great help and stayed as long as I needed! We went over many subjects and he was patient with me. Herb was a great tutor, who helped me a great deal with partial differential equations. I'd recommend him to anyone looking for help with mathematics. Herb tutored my daughter, a college student, in statistics and was extremely helpful. 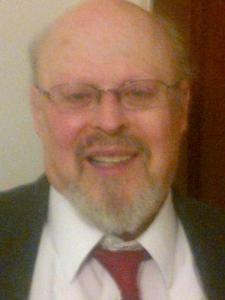 Herb was always responsive to emails, phone calls and flexible with tutoring times. He made statistics much easier for my daughter to understand. I would use Herb again without hesitation and highly recommend his services. My 13 year old son was struggling with 8th grade pre algebra. Herb quickly had my son thinking through and solving algebraic equations, now in a high school math and engineering program it has been noted by his new teachers that the extra work with Herb K. has paid off, thanks!